They say the truth can set you free, and nobody knows that better than today’s guest. She carried a secret shrouded in shame for over 30 years, but when she learned to speak her truth, she got her life back. 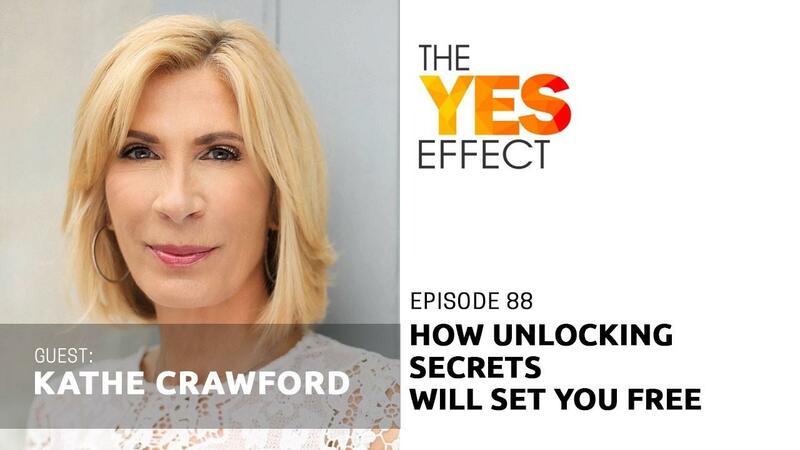 Her name is Kathe Crawford, and this is The YES Effect Show! Kathe Crawford is an author, Integrative coach, speaker and spiritual teacher. She wrote the inspirational memoir, Unlocking Secrets: My Journey to an Open Heart(published by Hay House in 2018), in which she shares her personal story of protecting a 30-year secret. She shares her story of adversity and challenges that lead to an inspiring and courageous journey of self-discovery and love. Through her work, Kathe empowers women to reclaim their own authentic self and become the changemaker of their lives. Following a successful 20-year sales career in the luxury industry, she is the founder of Your Truth(full) Life, a community of women supporting each other to discover and follow their own courageous voice.